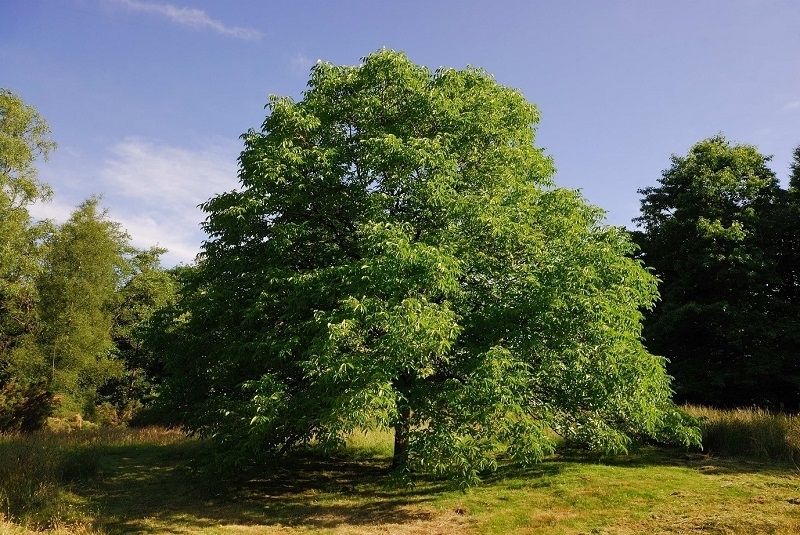 For Trees with dense canopies the use of two fittings with 60° beams (such as Apollo70 wide spot) placed at the outer edges of the canopy, giving the canopy a full coverage of light. 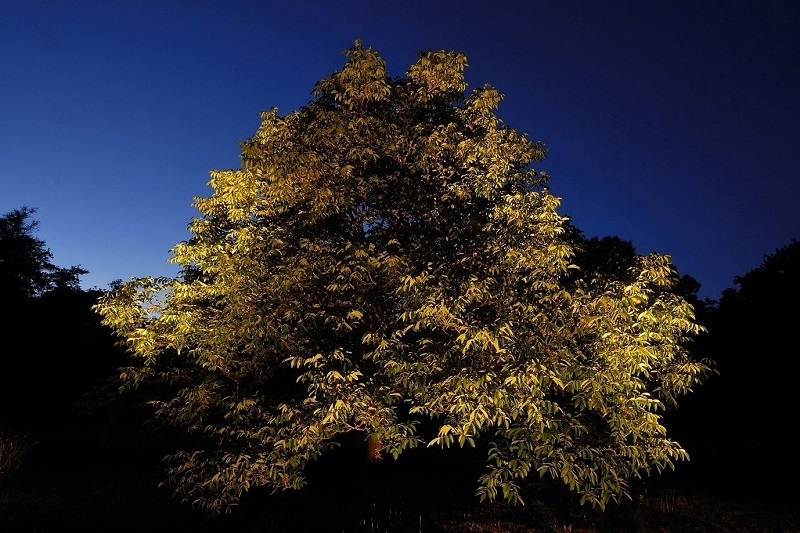 Lighting the tree in this way may not light the trunk of the tree, giving the impression that the canopy is floating in the dark. 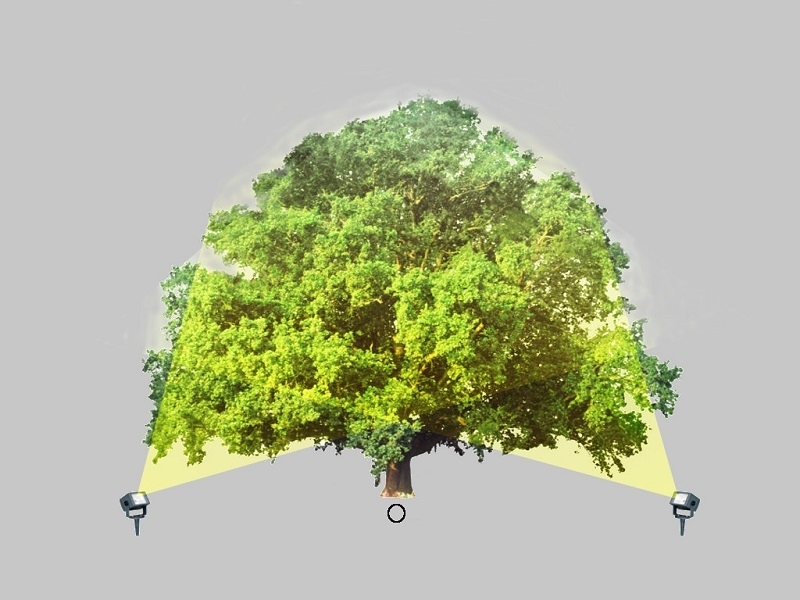 If this happens the use of a filler light (such as compact spike spot) at the base of the trunk may be used to light upwards and complete the lighting effect. Using narrower 35° fittings will not light the canopy as much as the 60° fittings, and the use of an extra filler light may be needed to give a fuller lighting effect on the canopy.